Happy Thursday everyone! 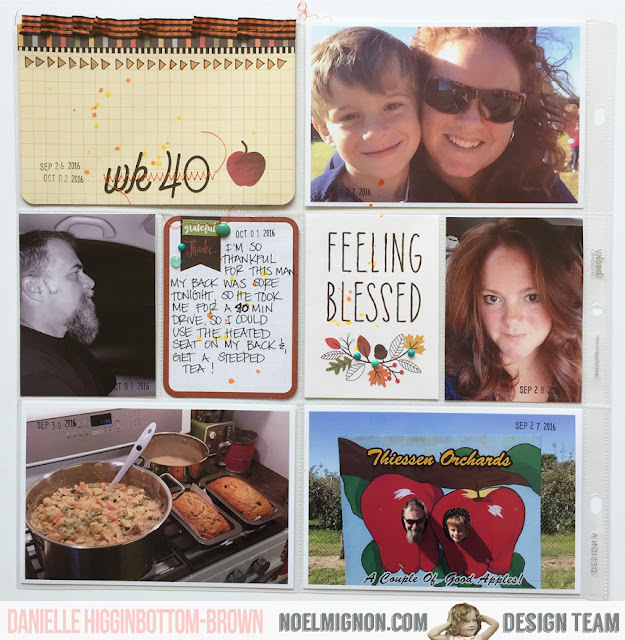 I have lots to share today! 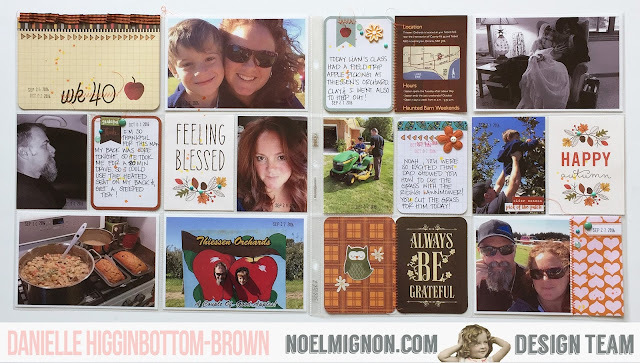 First off I have a kit unboxing video of the new Noel Mignon Falloween Daily Diary Kit. After that I have a process video documenting Week 40 of my project life, so grab a coffee and sit back and enjoy! Here is a kit unboxing video of the new Falloween Kit! and here is my first process video documenting Week 40 using it. 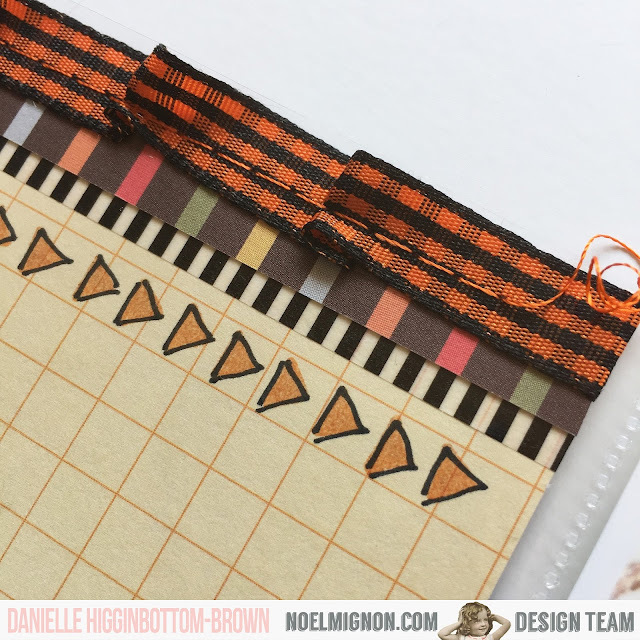 This weeks Design Team Challenge is Pumpkin Pie - Use orange triangles on your project. 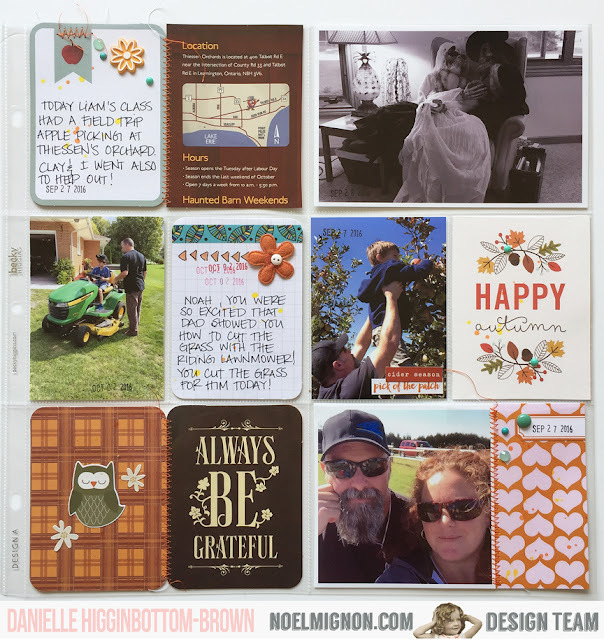 I used my Crate Paper Cute Girl Stamp that was in last months Daily Diary Kit. It had a row of triangles. I used this stamp with my Prima Chalk Ink in Rusty Keys, then outlined them with my black Sharpie Pen. This week my son went on a field trip, so I included a cut out piece from the brochure. 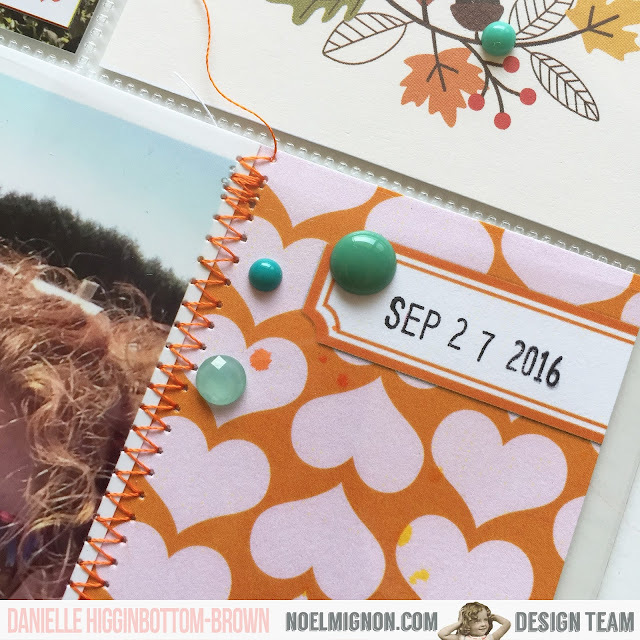 I did lots of machine stitching with orange thread, then added aqua enamel dots from my stash. 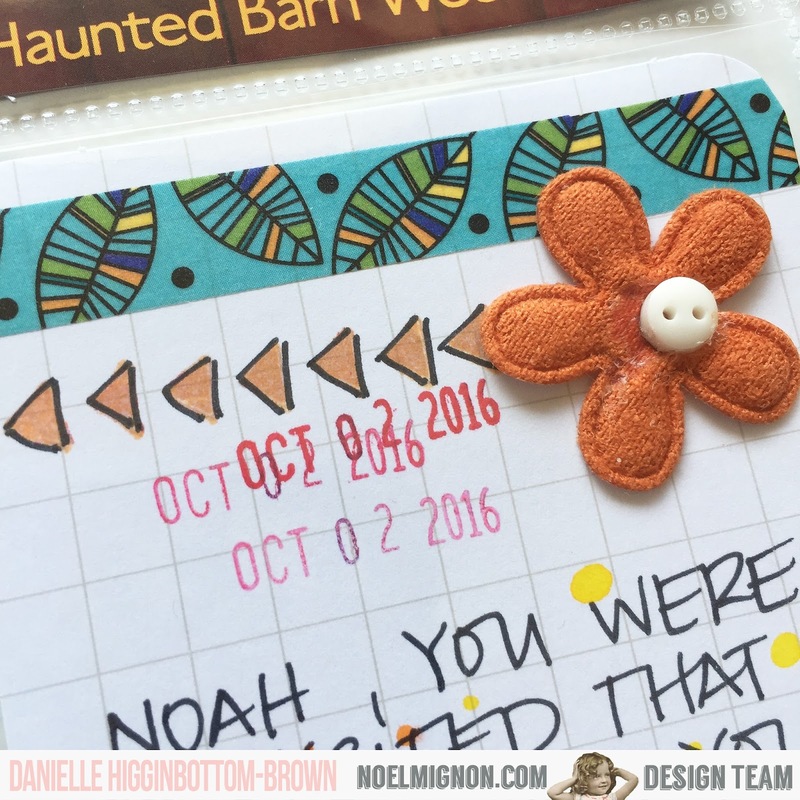 Here is a close up of the orange triangle stamping I did for the challenge. 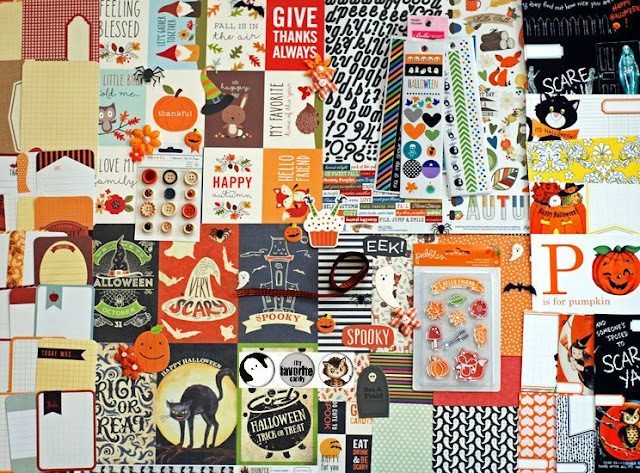 Also, how cute is that Bella Blvd washi strip?! 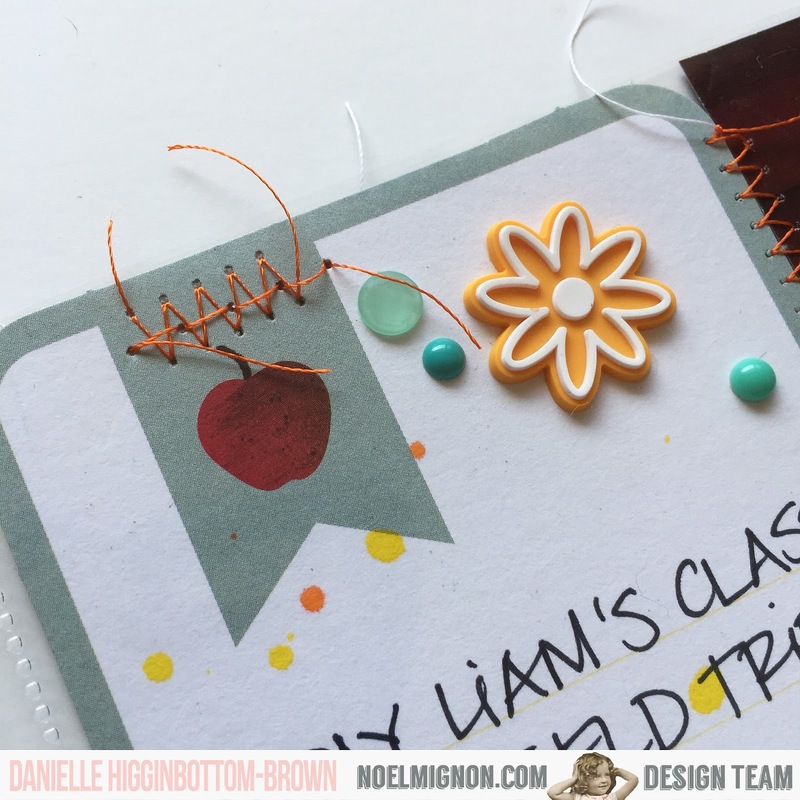 For this card I layered the stamping, washi tape from the Bella Blvd pack included in the kit, a branding strip and then that fabulous ribbon! I used my Dylusions Squeezed Orange & Lemon Zest to splatter drops of ink across my page. 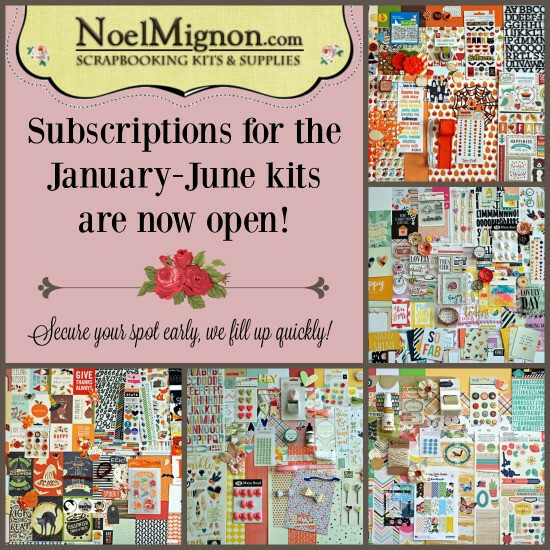 Don't forget, now is the time to sign up for the January - July 2017 Kits! Spots fill up quickly, so secure your sub early!